Acne around the mouth is a common (but frustrating) phenomenon. 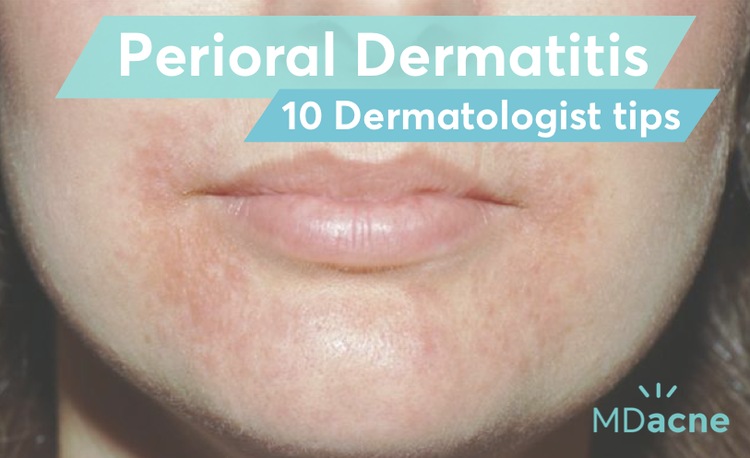 This type of acne—often referred to as "perioral dermatitis" is most common in women in their twenties and thirties. Perioral dermatitis can last for months or years if not treated properly, and unfortunately can be an extra tricky form of acne to manage. That being said, there's hope! By implementing a good skincare routine and avoiding certain products and foods, you can get it under control. Check out these dermatologist insights and recommended tips for treating and preventing acne around the mouth. There are several potential causes of acne around the mouth, but here are some of the main triggers! Hormonal Acne: Hormonal acne—associated with an imbalance in or fluctuations of certain hormone levels that cause an increase in oil production—often shows up in the area around the mouth. Some people with hormonal acne will also experience acne breakouts on their chin, jawline, neck, and other areas (including cystic acne). Hygiene: As with all acne, poor hygiene (including dental hygiene) can certainly be a factor in perioral dermatitis. Even if you think you have impeccable hygiene, there could be something you're not thinking about! 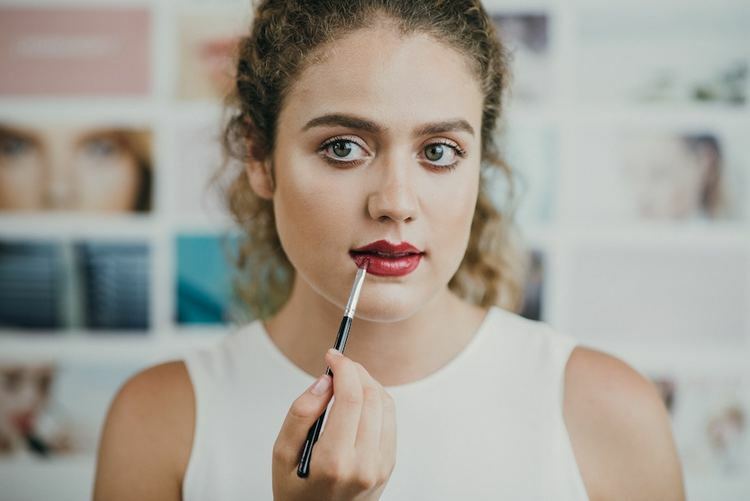 Cosmetics: Use of the wrong cosmetics (this includes a wide range of "grooming" and makeup products) can certainly trigger or exacerbate breakouts around the mouth. The skin care products and other acne-fighting tactics below have a high rate of efficacy for most people with perioral dermatitis and can work for all skin types (including sensitive skin!). We're confident that if you try these tips and tailor them to your skin type and lifestyle (making adjustments along the way) that you'll be on a path to healthy, clear skin. However, if within a few weeks you do not begin to see improvement, we recommend making an appointment with your dermatologist for further assessment. Change Your Makeup: Use of the wrong, pore-clogging cosmetics is a common factor contributing to adult acne. For those with acne-prone skin–including those with acne around the mouth—it is very important to take a look at the makeup products you're applying to your skin. Your first step should in fighting perioral dermatitis changing your makeup products. Look for oil-free, non-comedogenic, and hypoallergenic makeup. Better yet, try going makeup-free whenever you can to allow your skin to breathe and heal. Pro Tip: don't forget to give your makeup brushes a good, regular cleaning! Remove Your Makeup! : Make sure you always—ALWAYS—remove your makeup at the end of the day before going to bed. Your cleanser should help to remove makeup but you can also use an oil-free makeup wipe as well. If you do nothing else—do this! Cleanse Your Face: A gentle, yet effective cleansing of the skin is mission-critical for anyone with acne-prone skin. Use a medicated cleanser with active acne treatment ingredients (such as salicylic acid) twice a day (morning and evening). Use an Acne Treatment Cream: Perioral dermatitis tends to respond well to acne medications that contain salicylic acid or benzoyl peroxide (particularly in micronized formulations). Since the skin affected with perioral dermatitis is typically associated with dryness, you can reduce further drying from these medications by diluting your acne treatment cream. Simply combine a small, "pea size" quantity of the cream with an equal amount of your (oil-free!) moisturizer in the palm of your hand and apply it to these areas every three days. If you have oily skin, you may be able to tolerate more frequent application of your treatment cream (nightly or every other night). On the other days, use your moisturizer only. To find the right acne treatment cream for your skin, take the free MDacne skin analysis. Stay Away from Food Triggers: Speaking of foods to limit in your diet, there are certain foods have been associated with the onset and persistence of perioral dermatitis including. Some sneaky triggers are foods that contain a large amount of iodine. If you're suffering from perioral dermatitis, you may want to limit your consumption of sushi and iodized salts. Eliminate Topical Steroids: The use of steroid creams or ointments (think: Hydrocortisone, Fluocinolone, triamcinolone etc.) on the face is a frequent trigger for perioral dermatitis. Examples for steroid creams that can cause acne around the lips are. The same is true for prolonged use of steroid nasal sprays and steroid inhalers. If you are using them, talk to your physician about alternatives so that you can cut out (or at least cut down on) any steroids ASAP. Limit Sun Exposure: Excessive sun exposure, heat, and humid climate can make perioral dermatitis worse. 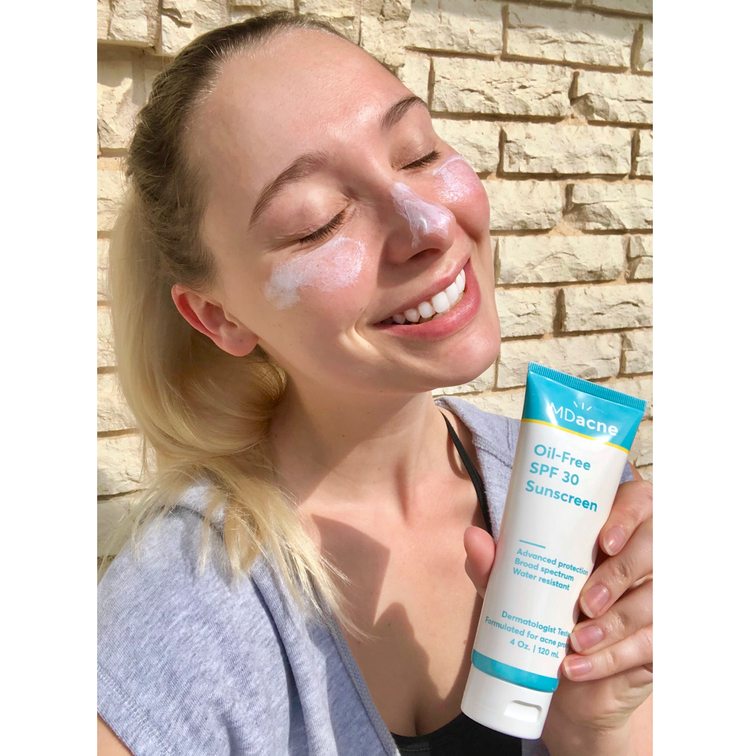 If you are in the sun, make sure you're using only an oil-free SPF sunscreen. If you have tried implementing all of the steps above and are still dealing with frustrating acne around the mouth, it could be that the cause of acne in your cause is largely hormonal in nature and will not obtain full clearance with topical treatment alone. In this case, it may be time to visit your dermatologist, physician or OB/GYN to discuss an oral medication to help you achieve full clearance. Some options include Accutane (a prescription-strength vitamin a derivative), birth control pills, spironolactone.